This book is an interesting book. It covers a lot of different aspects of working with the bible within the folk magic tradition of Hoodoo. As a witch I am interested in learning more about Hoodoo and working with the bible in their spells and rituals. That is one of the reasons why I bought this book. The other reason was so I could start to add Bible magic to my spell work and my personal practices. This book is a very short read but packed full of information. It is very concise but covers many topics from how the bible entered the practice of Hoodoo to if working magic is even compatible with reading the bible and understanding its work. There are also several different examples of practical magic and ways to work with the bible in day to day life. The book starts with covering how the bible enters Hoodoo. The authors made it clear that the use of the Bible in Hoodoo is directly tied into some of the hardest times for the Slaves and the African American’s in the south. It is also made clear that now today these practices are inseparable from Hoodoo in any real sense of the work. Next they cover if magic is compatible with the Bible. Here we are given examples of scripture and texts from within the Bible that illustrate magical practices and that you can work magic from the Bible. In this section the authors cover a selection of different “Heroes” within the Bible that worked magic in some way shape or form. Finally in the section of begining to understand the Bible and Hoodoo the authors cover Root Doctors and Rootworkers as spiritual leaders and leaders of the church. Several examples are given for how these workers were community leaders not only in magical work but spiritual needs as well. The section section of this book is probably the largest and most important section. This is the section that teaches working with the Bible in magical works. This section is titled “Forget Not it’s benefits”. This gives the idea of just how important the Bible is as a text to Hoodoo workings. The first section is about how the Bible itself is a magical text. Here we are showm just how much power is within the Bible. We are taught about making prayer papers and how each verse of the Bible has its own power. The most important lesson here I found was that of the respect for the Bible. Some spells and workings in Hoodoo call for tearing out passages from the Bible. Here the authors make it clear that by writing the passages down on paper and tearing that paper you have the connection to the verse without needing to deface a Bible. The power for them is in the verse itself so simply writing the verse has power. Other topics include a folk story about how in battle a Bible stopped a bullet from reaching a Solider, the Jewish Mizpah and the Jewish Protective Mezuzah, and several other small biblical charms. The next part of this section was on scriptural uses of magic. Here the author goes into discussions about how there are other verses and books of the Bible that can be worked with for magic as well as the Psalms. The author included a lists of various Bible verses and how they could potentially be used in magic. The author also included a list of verses that explain that God does in fact listen to people. This part of the Scripture ends with a description of “pleading the blood pf Jesus” with scriptures giving examples to the practice and how it is used. The largest section of the “Forget not it’s benefits” is a section on working with the Psalms. Here the authors do include a list of uses for every Psalm in the Book of Psalms. The author includes a passage on the “secrets of the Psalms” as well as how to find the sacred names within the Psalms. The most useful section of this chapter is the two lists of uses for the Psalms. One is a quick list by type of working listing the Psalms in order by number and the other is listing each Psalm individually with the uses next to them. The 23rd Psalm is one of the most well known Psalms out there. After providing us with a list of Pslams and their uses the authors provide us with several different uses for the 23rd Psalm. There are examples of blessings, protection spells, and a succsess spell as well. The 23rd Psalm is one of the most versitile Psalms in the book of Psalms which is why these suggestions are great for getting to know and work with that Psalm. This section ends with a list of Pslams for fighting your enemies and sending back or reversing evil sent to you. Both of those sets used together could create powerful spells for protection. These lists give you some ideas on working with the Psalms so you can then start to create your own spells and rituals with the Psalms. The next section was on using the Bible for Divination. In essence this practice involves flipping through the Bible with your eyes closed. When you stop flipping through pages you read the verse that you fingers land on and contemplate it’s meaning. The other topic covered is the use of dream interpretation and dreams in the Bible as a source of oracles and divination practices. The final section covering the uses of the Bible in magical practice is a section on Devotional Prayer. The authors cover how we should Pray and what prayer is. The author covers types of prayer and how you can use prayer to preach. This section ends with a sermon that was essentially a prayed Curse regarding Hitler. Bible Spells Old and New comes after reminding us of the uses of the Bible. Here the authors provided several different types of spells and workings that use the Bible. The authors start with steady work and succsess, which is followed by returning people and lost goods, Love is next (covering love, family, and reconciling with loved ones). After love we get into Helping and blessing, Harming and Cursing, and we end with protection and Jinx breaking. These spells cover basically every need that comes up in most day to day lives. The Book ends with a selection of Frequently asked questions regarding Hoodoo, the Bible and the many practices associated. These questions include how to choose prayers for specific works, asking about psalms or scripture verses for quick financial windfalls, and even making a payment to Jesus. These are questions that are found on my Hoodoo and Conjure forums so having a list and answers is a great way to get answers for questions you have that may have already been asked. This book gets 5/5 stars as it covers so many different ways to work with the Bible. The authors provide several resources, contextual examples, and workings that we can use right away to get started. 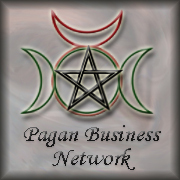 They cover most magical and spiritual needs within the book so it is an excellent resource for beginners. My name is Loona Wynds. I have been a practicing with for many years. I started as a teenager. At the time the only incense that was available to me for my spell work was the commercial large brands I could find at the local music store. Which for me at the time was great. Once and a while I was get a chance to go to a Hippy shop where I could buy Frankincense sticks, Myrrh, and my favorite Dragons Blood. These worked fine for a 13 year old who was just starting out on her journey in witchcraft but after working with them for 5 years things changed. 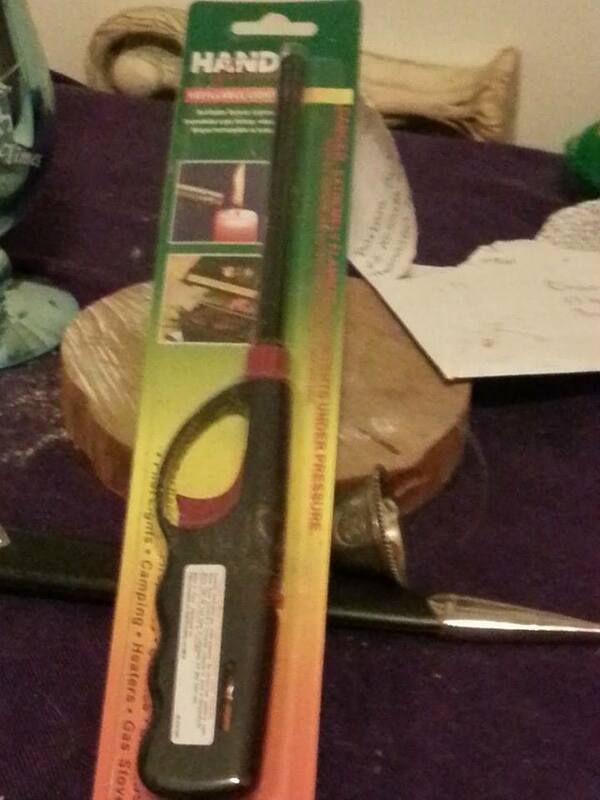 Most of the commercial incense (not Nag Champa) use synthetic scents. These are chemicals whose scents mimic natural scents from herbs and resins, and for some people these are fine. However my fiance can not breathe with those types of scents burning. Not wanting to stop my ritual work and my spell work I started to get supplies to craft and make my own powdered natural incense. This was 10 years ago. I would only make some incense as I needed it now. I would store the rest for future use. This for me just meant more trips to the Leapin Lizards, the local metaphysical store for new herbs and resins for different blends. Making incense for me made me feel at my witchiest. I was in control of all the energy in the blend. I was the one who was able to blend, mix, and shape the energetic forces of the incense to do as I willed. I got into a trance and I could really feel that the incense was in fact a spell in the making. The grinding of the resins and flowers or roots together put the physical energy of my desire into the work which lead to manifestation. This was how I started to understand the real essence of herbal magic. I’m going to be honest right here and right now. I never once used a recipe for my incenses. I never once had a book top guide me in the steps. My only resources were the herbal packets themselves which had properties and uses on the back and Scott Cunningham’s Encyclopedia of Herbs. I was purely using my intuition, my inner knowing as the old conjureers call it. So all of my blends were unique. They were never the same twice, and at the time I didn’t bother to record what I was doing as they were all experiments of the spiritual science of magical herbalism and spiritual aromatherapy. 3 years ago My fiance noticed that though I was trying really hard I was simply not able to find a job. I applied everywhere and I even had a few interviews. Nothing was working. One of my dreams has always been to have my own Metaphysical shop where I could sell supplies to people on their spiritual journeys and help them grow as a witch or pagan or what ever they identified as. We had been told that because of me history I may be able to get a grant through the Small Business Development center. I talked to my worker helping me find work and we decided to try to go this route. After doing a test market of my tinctures, incenses, and some basic herbs I was able to prove that this was a dream that would work. And now with their help I have come to be able to make and sell the incenses and powders that I do. Why work with powdered incense? The most original form of incense is pure herbal incense. The witches, priests, shamans, and magic workers would dry plants and herbs and throw them on the fire for an effect during ritual. Over time they created different herbal combinations for different rituals and workings. From there they developed working with small batches for an individual working rather than a full community ritual. These small batches are how witches continue to work. By working with the loose herbal and resin form of incense you can control the power of the essence more effectively. You are also able to communicate with the spirits of the plants. While they have been dried and harvested the dried plants are like the bone of a person. They still contain aspects of the plants spirit and essence. When we make powdered incenses for spell and ritual work it is this essence that we are tapping into. It is this part of the plants spirit we are working with. While most incense stick may have some traces of essential oils in the blends you are not dealing with a pure plant essence. You are simply dealing with the chemical concoctions. To get a connection with the natural essence of the plant you want to work with dried plants that you either gather yourself (the best option) or buy from a reputable supplier. Otherwise you may not even be talking to or working with the plant spirit. In essence witches work with the spirits of the plants they work with. Using powdered incense that you make yourself is one of the best ways that you can start working with the plant spirits. You can feel them, speak to them, and get a sense for their energetic properties. Over time the more you work with the plants the more they will teach you about them and working with them. I worked with marigold for years in spell work and incense before it revealed its uses in money,finance, and succsess work. Prior to that most of my work had been with the healing attributes and the psychic development attributes and its still one of my main go to for those works. Magical powders are not as common in witchcraft as they are in Hoodoo and other folklore and folk magic tradition. Powders are a very effective way to work magic without being seen or known. Powders are effective because they work in silence and in the shadows without much fuss or muss. You are simply sprinkling a mixture around an area or on an object and letting the powder do the work. In magical powders it really is the spirit of the plants that are doing the work. While incense send the words and prayers up to Gods and spirits other than the plant spirits, powders are direct to the earth. Its just the plants, your intent, and mother earth that makes things work. In magical powders you are really relying on the inner conjure power of the plants and of their spirits. They will work for you if you are respectful to them. Not all magical powders are plant matter though. Several powders like Red brick dust, and grave yard dirt are not based on plant matter but on the organic matter of them. They are still full of power because of the spirits in them. The spirit of the place is an important aspect of gathering these powders. Grave yard dirt is gathered at the cemetery and used in rituals depending on the grave it came from. This dirt can contain plant matter but in essence instead of the plants you are working with the spirit from the grave where you took the dirt from while. This is why it s important to do research on the grave you take the dirt from and give them an offering. It is also for this reason that most people will gather graveyard dirt from the cemeteries of their ancestors or beloved dead. Powders like Hotfoot and black salt are often made with herbs as well as other items. In these powders it is still the plant spirits that are working for you, but it is also your intention in the work. Your desire and knowing that the work will be done that makes it work. The herbs are what boost the intent for the powder and it is sprinkling them onto the earth or object that makes it work. Making your own incense and powders is one of the best things you can do in magic and witchcraft. I say this because it allows you to really control the power and the intent in the product. No one else but you really knows what type of healing you need done or what your money issues are. By making your own you can really be the magic and be the power behind the working. It is important to remember that intent is everything in magic and witchcraft. When you start to make your own blends you get to put your emotional state and your intent into the product from the very beginning. You are asking the spirits of the plants to aid you in this work and lend their power to your working. By stating this while you blend and grind the power gets transferred and the energy mixes very well. While you can use products that have been pre-charged and made by others you will not have as much control over the energy in the product. They will not have your emotional connection to the spell or working you are trying to do. The creator of the incense or powder can ask the spirits of the plants to charge the creation for a specific purpose and it will work, just not as effective. They will put their own emotional charge into the work as their blessing but without your own inner emotional force it is missing and aspect to be as effective as it can be. You are the magic. It is your will that directs magic. This is why even when buying stuff from a store you will need to spend your own emotional energy as you do the work. You will have to make sure that all of your energy gets into the working so that the spirits know your desire and can work for your intent. This is why in the end I prefer to make all my own products. It has my partnership with the plant spirits starting from the moment I choose the herbs. There are several different tools involved in making incense and powders. You have the Mortar and Pestle, the scale, a mixing bowl, wand, yourself, bags and or containers, and of course the herbs,resins, and essential oils that you wish to work with. Each of these tools plays a central part in creating your own unique blends of incenses and powders. The most important tool is the Mortar and Pestal. Right now I do not have any in stock but my friend does at his shop: Mortar and Pestle. The mortar and Pestle is how you actually grind and blend the herbs in the incense and powder making. You choose the herbs, weigh the amounts out and grind them. Some people grind them one at a time and then place everything in a mixing bowl for a final blending with hands or a wand. Other people will blend and grind them all within the Mortar and Pestle. My advice is to start with one herb at a time. Once you get a feel for the power it takes to grind the herbs in this fashion you can add more herbs to the blend at a time. The next tool you need are baggies or some sort of storage container. Once you have made your incense any that you do not burn in a spell or ritual (and a little of homemade magic goes along ways) you will want to be able to store it. This is the reason I keep most pickle, salsa, and jelly jars. I can us it for storage of incense, powders, and other blends. You never know when you will want to do a particular ritual again so it is important to know you can use the same blend again. You also want to have some sort of paper to record what you did. This way you will know what you made and be able to make it again if it work perfectly. If something did not work well (and not every blend works out perfectly the first time) you want to look at what you did so you can try and tweak the recipe and make changes. This is also a good way to track any manifestations from the work. A mixing bowl is great if you only have a small mortar and pestle and need more space to blend your herbal mixture. In this you can fold and mix and blend the herbs ground or not to your hearts content. I typically do a mixture of using a wand or using my hands. The wands are great at blasting a direct force of energy into the mixture while my hands do a subtle constant exchange through my personal touch. One of the reasons I like to use my hands is that I get a direct personal connection with the herbs that I am working with. As I dig into the herbs I can feel them mix and I can feel the energy as they blend. I can feel the plants talking together about the purpose and mingling to the best of their abilities. It also lets me connect with the first witch, the earth mother as all plants are small representatives of the Earth mother. Unless you are following a specific recipe you really dont need a scale or measuring devices. If you are following your intuition you can just work with what feels right. In Mystic Echoes because of the large amount of product I create in a single sitting I weigh the ingredients out by the ounce. For your own personal use if you want to keep accurate records tablespoons or teaspoons are all you are going to need. Finally you need to have the herbs. Your herbs, resins, and essential oils are the most important part of the process. 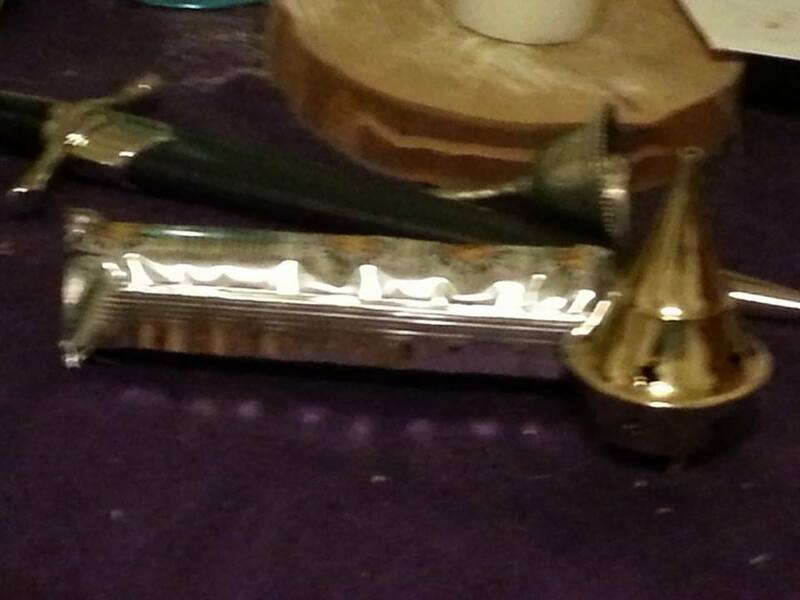 With out the herbs, essential oils, and resins you will not have any sort of incense and powder. These are what make your blend your own. There are hundreds of herbs out there many with similar properties. It is your personal choice of the herbs you work with and in what amounts that will make your incense blends really your own. The herbs are what make up your powder and your incense.So it is important to choose the right herbs for the right blend. In two follow up posts I am going to give recipes for a protect your love powder and a love incense. For now we will cover resources and how to choose the herb to work with for your unique products. There are many uses for many different herbs on the market. One of my favorites Dragonsblood (which is a resin) can be used for protection, but also love, lust, money, exorcism, and power. Its also an offering specific to Dragon spirits. Another herb Angelica root has Angelic Work, Protection, Hex Removal,Exorcisms, Health, Meditation, and Divination as associations. Every herb on the market has properties that make them versatile in spell work and in ritual work. So how do you choose? One of the things I do is I look up a few recipes in the various book resources I have. I then write down the recipies that appeal to me. After having 3 or 4 different recipes I see what is common in them and what is different. I write down all the herbs that are mentioned and go from there. This is where my intuition and working with the spirit comes into play. This is where I let the spirit of the plants guide me. Once I have a few guides to look at I see what the herbs themselves have to tell me. More often than not the blend I end up with is different than the one that I had intended to use. I can see a lust recipe and start working with the herbs I thought might be good and half way through the creation I get a message from an herb “hey your supposed to use me” or a sensation that another plant would work better in the blend. So I put aside the herb I was going to use and grab the one that told me to work with it. For those who are new to working with incenses and powders my advice is to actually follow a recipe unless something tells you very strongly to use something else. In this case many of the books that have recipes and associations with herbs and oils will have replacements or herbs that can be used interchangeably. This is where many people can start to panic. They might not have the exotic herbs like Dragons Blood or Angelica root. But they have something like Basil and black pepper in their kitchen cabinet. Often times I get asked can I use the same herbs I use in cooking for magic? And my response is very much yes! Cinnamon is a good example here. Cinnamon has properties of money, luck, love, lust, protection, and prosperity. Black pepper has protection, removal, and magical offense properties. Your kitchen cabinet has many magical options for you. This is my point here. Use what you have on hand. In the ancient times the witches and priests only had what they could gather locally in the woods or that they could grow in their gardens. If its something you have in your home I guarantee you can use it in incense or powders. By doing this you are also well on your way to learning about kitchen witchcraft as well. I will cover kitchen witchcraft herbs and kitchen witchcraft spells in another post but for now I’ll make the point clear again. Use what you have on hand. Working with loose herbal incense does require a few additional tools. You need to have charcoal discs and a censor to burn the charcoal disc in. The reason I suggest you use those longer lighters is that the charcoal discs spark when they are being lit. It is these sparks across the disc that actually start it burning. Once it has been sparking you will see a red ring around the charcoal. Using tongs place it in the censor and sprinkle the incense on the disc as needed for the spell or ritual. Now your incense is being used in a spell or formal ritual work. Powdered incense or loose herbal incense can be used in more than just formal rituals. You can use them as powders sprinkling them in packets, satchets, or around properties. They can also be used as incense by being burned for offerings to spirits and the Gods. In rituals they provide atmosphere and make the place feel and seem sacred. The best way I have found to work with powdered and loose herbal incsnes is both as a powder and as an incense. When yuo burn the incense your intent is carried by the smoke to the spirits of the air and to the universe via your prayer and charge into the incense when you light it. Adding it to packets or rubbing the powder on candles will continue the effect and allow another way for the energy of the incense to work. All of the powdered incenses found at Mystic Echoes:Loose herbal incense & magical Powders by Mystic Echoes can be used as a powder or as an incense. They are very versatile. Powdered incense has one final beneficial use. There are some incense blends like the Happiness Blend and the Stress Relief blends which can be used as aromatherapy. By buring certain scents a person can heal and change their emotional state. This is one of the benefits of powdered and herbal incense. Variations of the Healing Incense would be burned during many healing ritual baths and they would be one of the best aspects of the bath-the soothing scent and caress of the spirits of the plants aiding me in my healing work. Powders are best used in spells. You can use them to bless a work place by making a blessing powder. The only way they can really effectivly be used in rituals is when they are made in the rituals. For example at Maine Pagan Unity Day after making a love and protect my love incense and powder in my workshop I had some left that I went outside and sprinkled on the ground as a thank you. It was part of the ritual of friendship in the making of the blends and sprinkling it was a thank you and a spreading of the blessings. You can use them in many different types of spells. In candle magic you roll a candle in the powder as part of dressing the candles. In packets you feed the packets with the powder to keep them going and you can also add them to the packets in the process of making the packet. You can sprinkle them around the house for protection or removal depending on the powder. There are some who even use them in freezing spells and jar spells. In essence you could use them in any spell work you can imagine. With all magic the only limit to their use is your imagination. Today I am going to end this blog post with a few books and resources on herbal magic and associations. These are books that I go to every time for my workings. 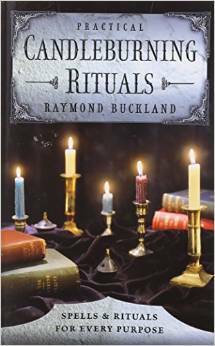 There are many books on spells and rituals on the market. There are some books that deal with magic without deities and some that deal with deities and spirits. Most of the spells you will find in those books that deal with the ancient deities are modern in origin. This book is a unique treasure among spell books. This book actually goes to the source for information on the spells and magical rituals of our ancient fore bearers. There are nine sections in this book. There is the introduction and 8 chapters in the book itself. This book is well organized, though there is one chapter I may have placed in a different location because of a quote mentioned in that chapter. The rest of the book I feel is in perfect order. The first chapter is about spell casting the hows and whys and includes a little information about the deities involved. The second chapter covers the context of the cultures in the book. The next six chapters are full of spells and rituals that are simple, practical, and easy to perform. The first chapter is one that should not be skipped. I know its easy when you are researching spells and rituals to jump right to the spells and rituals, which is fine once you know a bit about how magic work and the deities and spirits that are involved. If you are a beginner or just curious about spell crafting you really need to read this chapter. It covers the meaning of the word spell, the methods. getting into a magical mindset, and setting up your workspace. All of those items are important for effective spell casting techniques. The second chapter like the first one should not be skipped. This section is all about the region and the cultures that the spells in this book come from. When you are working with deities and spirits it is important to understand them. This section talks to you about the different cultures, where they were, when they were in power, and a bit about their history. This information gives you a basic idea about the types of people that worked with the deities and forces mentioned in the book. This allows you to approach the powers within as respectfully as you can. The third Chapter is where we finally start get into the meat of the book. This is where we start getting into spells and rituals for different needs. For me this is where the chapter on protection spells should be. The author states at the beginning of the chapter of protection: “There are more spells in this section of the book than in any other section of this book because protection is of paramount importance. If we are not protected, we will have no chance to enjoy prosperity, fertility, and all the rest” (Ancient Spell Craft pg 136 by Laura Perry) Instead the author start out with spells for prosperity. At the start of each of the chapters on spells there is information on the different types of spells. There is prosperity of the fields, the business, and other aspects. The first few pages in the chapter on prosperity and money magic covers the different types. The author then provides several different spells on field prosperity and on money spells. The fourth chapter is about Romance spells. Here the author discusses how while the concept of romantic marriages is new the practice of performing love magic has always been around. In the past they have been more about lovers outside of marriage or in the form of sacred lovers at the temples. There are several different spells in this portion, none of them based on targetting someone already in a relationship but in your own words one who will be right for you. The fifth chapter is about spells for Fertility. Here the spells are as much about getting pregnant and having children as it is about the fertility of the land. Without fertile farmlands crops etc we can not have food to live on. In the ancient world crops were the way of life. Today those spells and rituals are still effective for personal home gardens and for larger farmers. The pregnancy spells also provide several different ways of asking for aid in that area of your life. The sixth chapter is all about protection. The spells in this section cover protection of the home, your business, from theft, and several other things. As I said earlier because of the emphasis the author places on protection (in the beginning and at the end of the chapter) I feel that this should have been the first chapter on practical magic. The chapter ends with a discussion about spiritual protection which is necessary when one begins to work magic and perform rituals. It is for this reason I believe the chapter should be the first one. Other than that it has every sort of protection that you could ever need to use based on day to day life. The seventh chapter in the book is my favorite section. I am a fond of healing spells and healing based magic. That is the focus of this chapter. This spell has a road opener spell (for those unable to move forward based on illnesses or issues) and spells about removing your illnesses. There are spells for emotional healing as well as physical healing. This chapter covers everything you would ever need to know for any sort of healing. The last chapter is on divination. Reading oracles and divining the future has always been a part of religious and magical workings. There are many different traditions of divination from tarot cards to I-ching coins, to reading stones tossed in a blanket. This chapter provides several different spells and divination rituals of sorts. These simple to perform spells often allow for easy to read signs and omens to see if your works are going to come through and to see what needs to be done in a situation. I want to compliment the author on their diligent research on the topic of ancient magic and the cultures. They have a substantial bibliography for such a small and informative book. The only other suggestion I would have to make this book better would be to have an appendix in new editions listing the deities mentioned and their associations so people have references for the deities when they decide to start making their own spells.